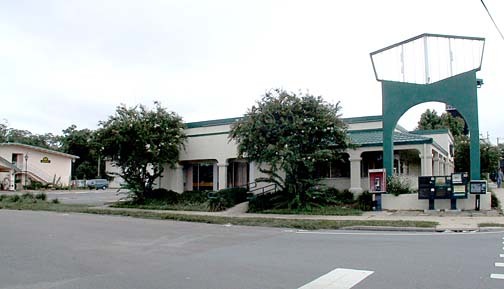 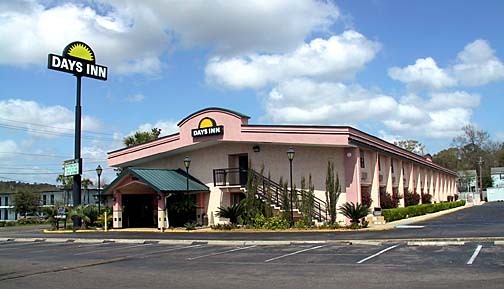 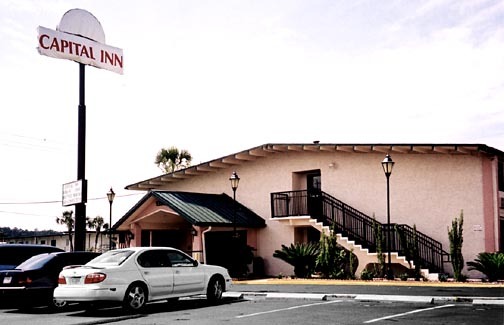 Convenient to Florida State University, the compact 50 room Tallahassee-East Motor Lodge was opened in the spring of 1965 on a small parcel of land located behind a circa 1953 Restaurant. 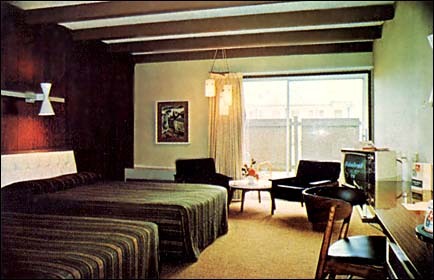 Outfitted in typical high modern HoJo's style, the Motor Lodge retained its famous name until late 1987. 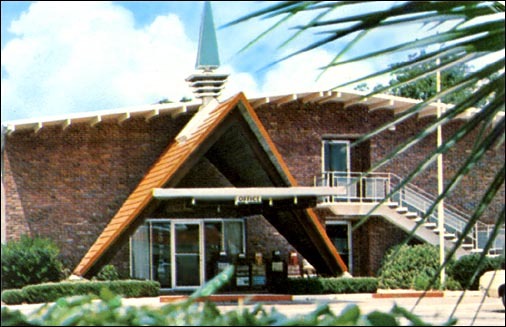 Note the cupola topped A-frame inspired canopy marking the in-the-building lobby. 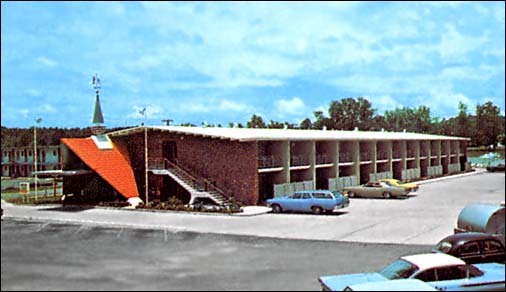 After its twenty plus years as a Howard Johnson's, the Motor Lodge first converted into an Econo Lodge. 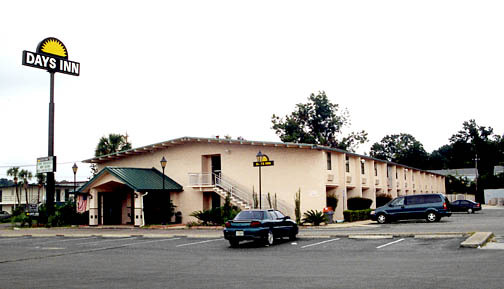 Later after modifications and a coat of stucco, the site became a Days Inn. 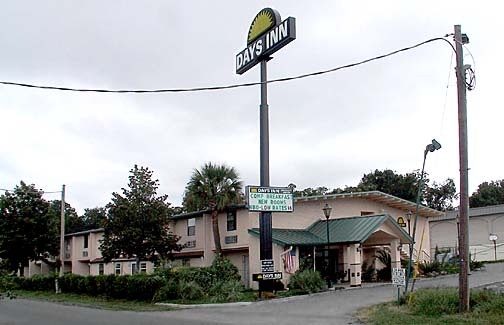 However not quite enough stucco had been applied to satisfy the minions of Cendant, and for a time the property operated as the Capital Inn with its Days Inn sunburst covered. 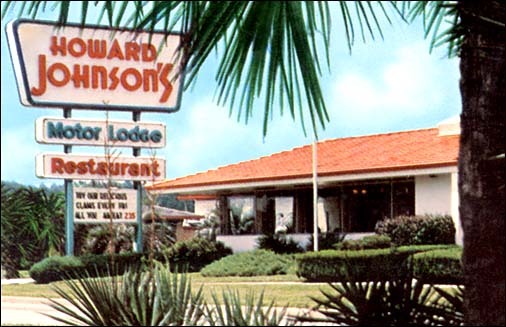 Shazam -- A fresh covering o' stucco and added false frontage, the former Howard Johnson's was allowed to regain the Days Inn name. 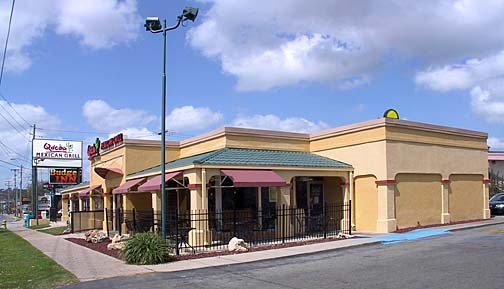 The much altered Restaurant had apparently once operated as a Denny's (based on the shape of its past sign seen higher on this page), but had become a Qdoba Mexican Grill by the middle 2000s.